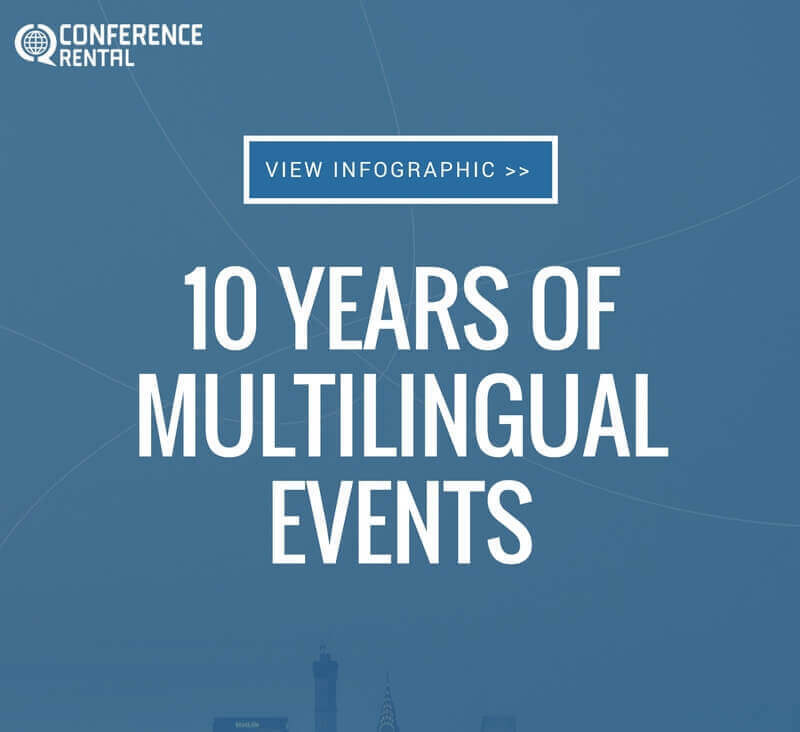 A decade ago, we launched Conference Rental as a simple and convenient resource for multilingual events. We set out to provide end-to-end services, from interpretation tools to audio distribution, supporting large-scale events with up to 32 languages. We offered unmatched 24 hour support where our customers need it most. Since then, we’ve grown to house one of the largest inventories of high-end products in North America and worked with a host of leading world congresses and international organizations to ensure superior audio quality and interpretation solutions for events of all sizes. It’s been a whirlwind to say the least. Today, we turn ten, and we want to thank you. While we’re truly excited about this milestone (and at the risk of sounding cliché) we couldn’t have done it with you. At Conference Rental, our customers are much more than business transactions. At the heart of what we do are the event planners, language service providers, audiovisual suppliers, event producers and all the people who make events great. We’re passionate about amazing events, and we work tirelessly to support you every step of the way. Whether it’s a 30 seat board room meeting or a 3,000 person arena, our team of professionals provides quality service you can trust. Conference Rental now counts offices in San Francisco, Washington DC, New York, Paris, Brussels, and Marseilles. We’re proud to represent a partner network that stretches even further to all corners of the world, with a deepening footprint in Latin America and Southeast Asia. Thank you for being part of our journey. We look forward to being able to serve your event needs in the years to come. Here’s a quick look at some of the highlights from the past decade.